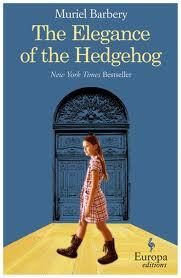 We will be meeting on Tuesday, Jan. 13th to discuss “The Elegance of the Hedgehog” by Muriel Barbery. 7pm at the Rustic Kitchen Wine Room. Both Renée and Paloma hide their true talents and finest qualities from the bourgeois families around them, until a wealthy Japanese gentleman named Ozu moves into building. Only he sees through them, perceiving the secret that haunts Renée, winning Paloma’s trust, and helping the two discover their kindred souls. Moving, funny, tender, and triumphant, Barbery’s novel exalts the quiet victories of the inconspicuous among us.